Sharee Yamashita is a young Thanikwithi woman from Thursday Island who has recently completed her Electrical apprenticeship while managing the demanding responsibilities of a young family. She is now a full time employee working with Rio Tinto in Weipa on the Cape York Peninsula. Sharee has overcome many obstacles along her journey, and says her determination has been inspired by many people, including her father. Her success in her apprenticeship has increased her confidence and she is keen to share her journey to inspire others. Sharee’s leadership has a powerful positive impact on everyone that she interacts with. 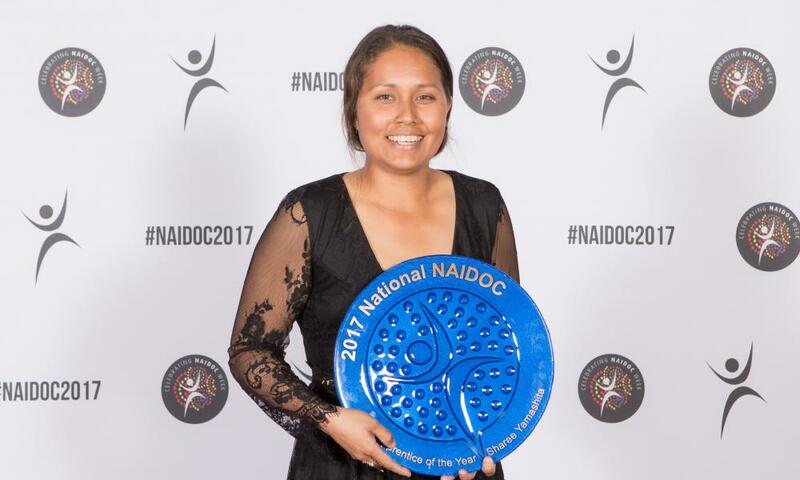 Her success in a male dominated industry makes Sharee an important role model for other young Indigenous women. Sharee’s goal for the future is to help other young people to create opportunities and succeed in their chosen careers.